Description: Tonic Studios Tools to make projects easier. 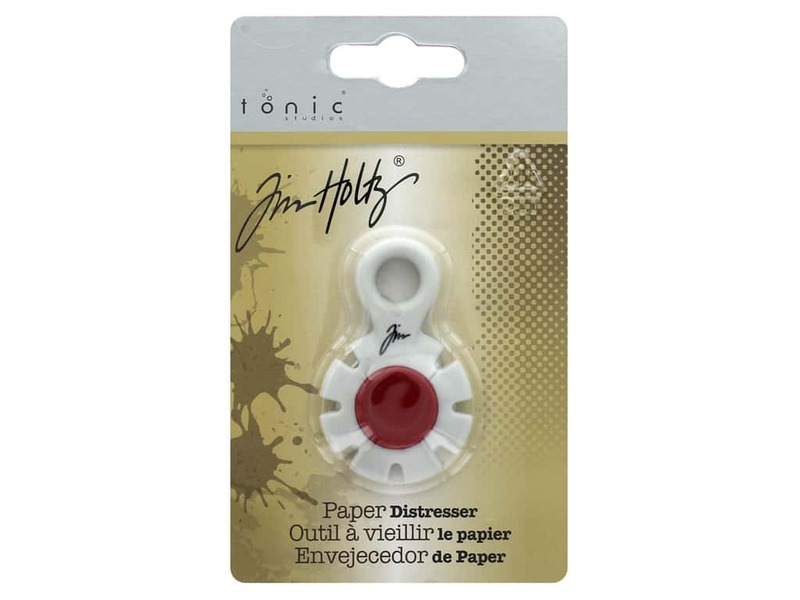 Tim Holtz Paper Distresser- Designed to create distressed, altered, or aged paper edges. Choose from one of the 7 sharp recessed edges and drag the paper's edge along the protected blade, this will create a rough jagged edge on the paper. Tool has a loop at top for hanging and a soft Kushgrip center for handling comfort. See more Tonic Studios Tools.